It’s Not Too Late for Christmas Gifts! There is still time to pick up gifts for all of the gamers on your list. Why fight to find a parking spot at the mall when you can drop in and out here with ease? 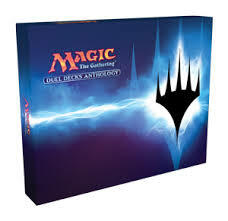 We have a lot of great gift ideas for every genre of gamer–Magic, Yu-Gi-Oh, or Pokemon Players, Dungeons & Dragons fans, and board gamers. Gifts range in size from stocking stuffers to large gifts that will be the centerpiece of their holidays. And if you can’t narrow down a specific gift, we always have Gift Certificates available. We even have a selection of unique gifts, such as metal dice sets. We will be open until 8PM on Christmas Eve for your last minute shopping needs!